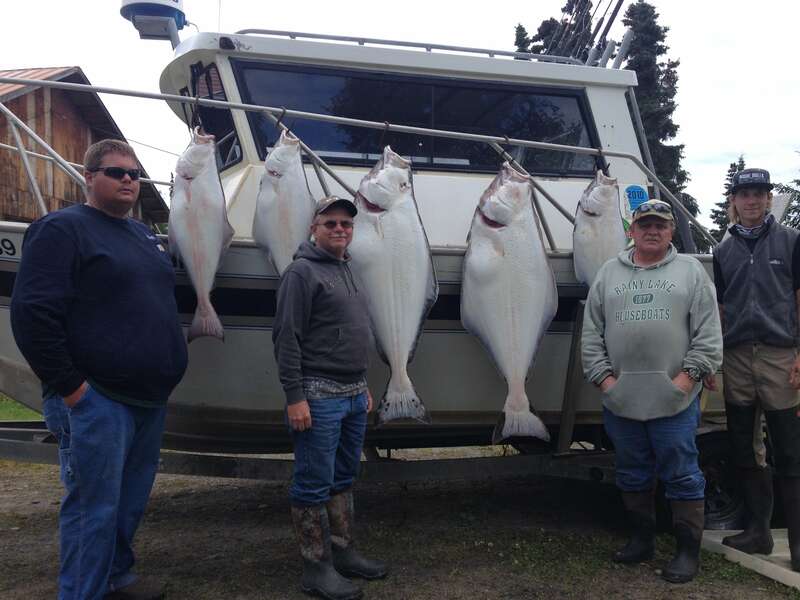 Halibut are one of Alaska’s sportfishing delights. 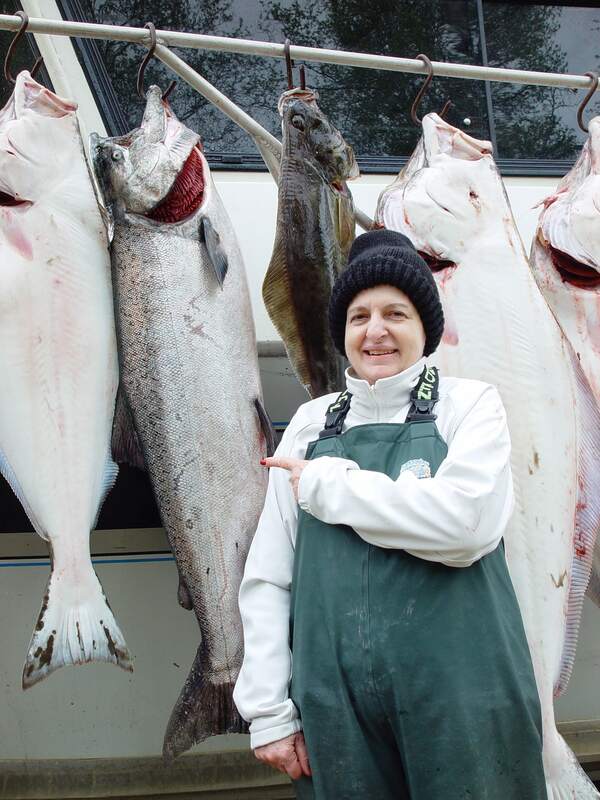 These apex predators can grow to over 500 pounds and Cook Inlet has produced sport caught fish over 400 pounds. One hundred pound fish are not uncommon. In the spring months of May and June we fish “combos” for both king salmon and halibut, and often take home a mixed bag of these sport fish. Launching onto Cook Inlet from the beach near the mouth of Deep Creek we can be fishing for salmon with a short run of a mile or so. 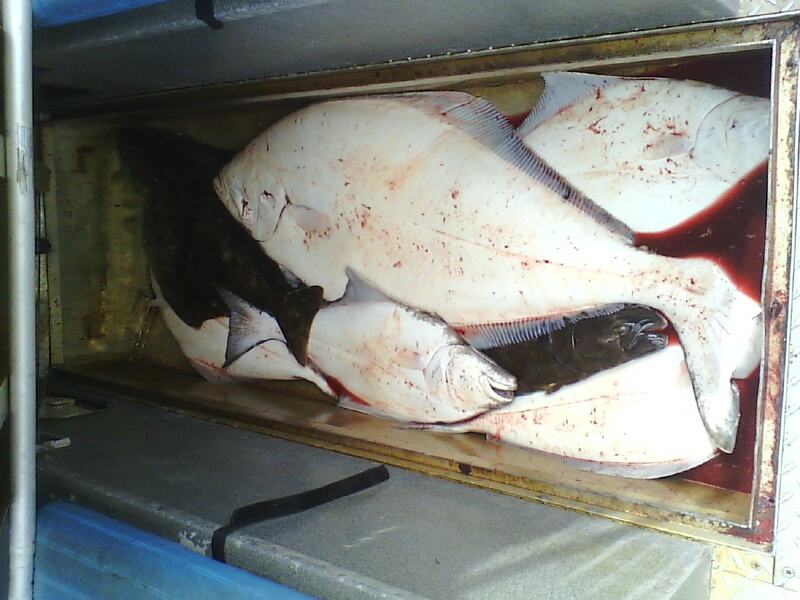 The halibut fishing grounds are usually 12 or more miles offshore but halibut can be caught near shore too. Anglers can choose to use lighter tackle to catch halibut, with lighter/smaller diameter microfiber lines and salmon rods we only need use 1 pound sinkers instead of the usual 5. 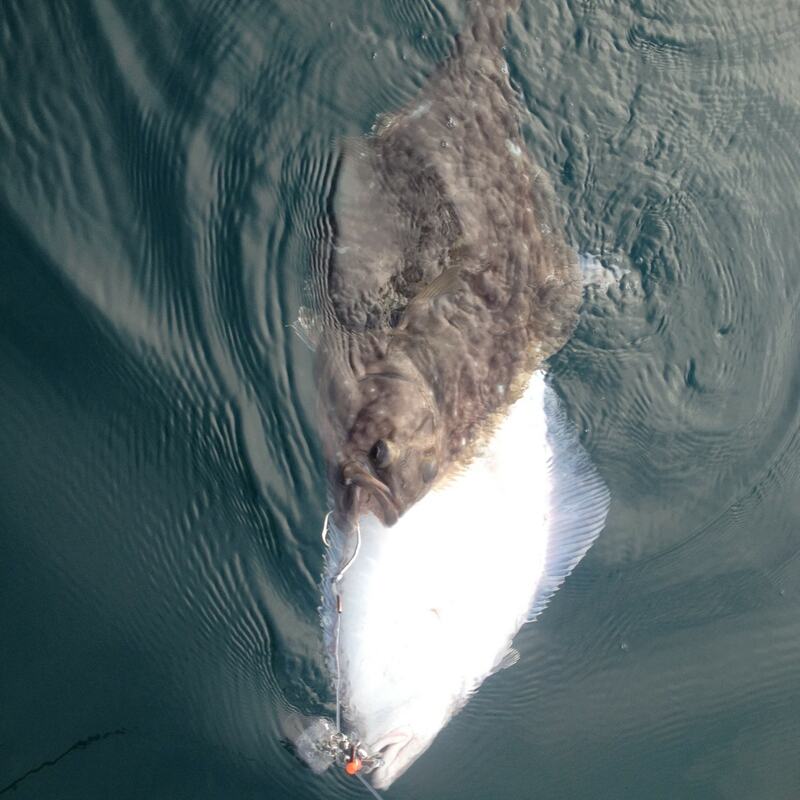 Even the chicken halibut give the angler a battle. 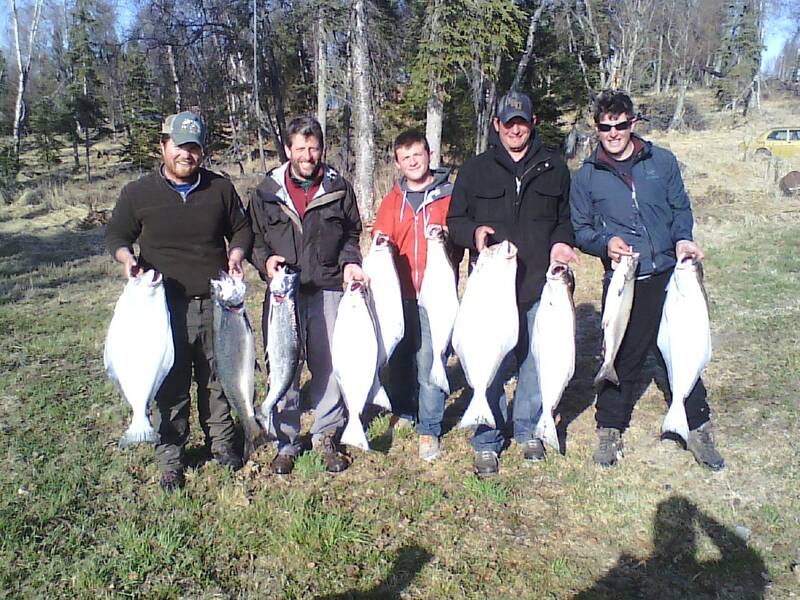 Not your typical saltwater fishery, Cook Inlet, where the tides are the second most extreme in the hemisphere with large tidal fluctuations of over 30 feet and currents of 8 knots. We mostly fish halibut anchored up over holes 70′ to 300′ deep. Demanding fishing but very rewarding with sore arms and weary bodies the norm at the end of the day. 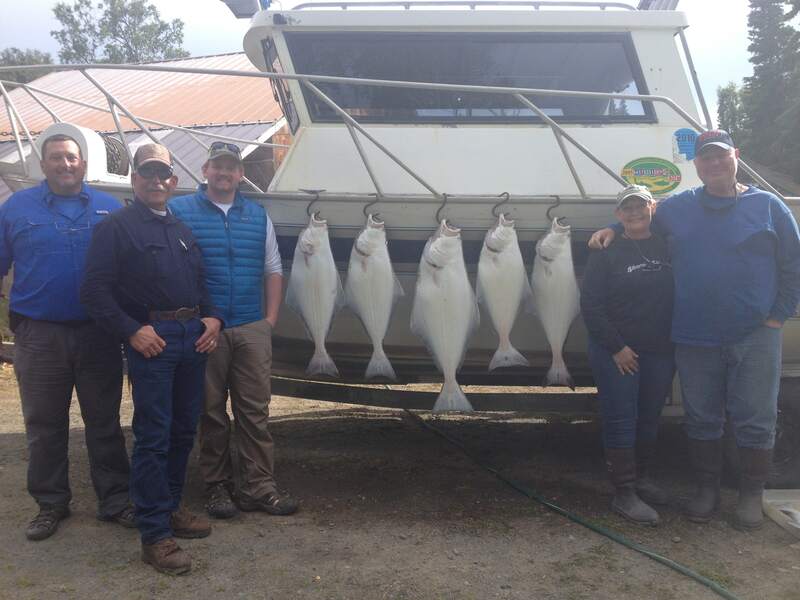 On a clear day the scenery is spectacular and so is the halibut fishing.